There are many administrative remedies available after an Internal Revenue Service examiner has proposed making adjustments to your client's tax liability. 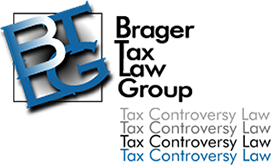 These procedures are available in the context of both individual and corporate income tax examinations, as well as estate and gift tax examinations. The first option is to request a conference with the examiner's "group manager." In some Internal Revenue Districts this conference will be conducted by a senior examiner rather than the actual group manager. The conference with the manager is an opportunity to allow someone in the Service with more experience and, hopefully, a different viewpoint to look at the facts of the case and consider an alternative approach. The group manager has an ongoing relationship with the examiner therefore his initial reaction may be to support the decision of his subordinate. Nevertheless, especially in situations where the examiner is clearly wrong in his interpretation of the law, the group manager will exercise his independent judgment. The examiner w ill be usually be present at the conference with the group manger. Therefore, counsel should refrain from complaining about how ignorant and unreasonable the examining agent has be en (even if true). As in all dealings with the Internal Revenue Service, abrasive conduct is counter-productive. Along these lines the client normally should not attend this conference nor indeed any meeting with the Internal Revenue Service. Clients are usually unable to keep a sufficient level of emotional detachment, and often make comments which serve no purpose other than to alienate Service officials. In addition, they sometimes provide extraneous information which they think will be helpful, but is actually damaging to their case. Generally, a conference with the manager is a no-lose situation. However, if the examining agent has located a revenue ruling or case which appears to be directly in point the manager will not be in a position to overrule the examiner's decision. The function of the Appeals Office is to "resolve tax controversies, without litigation, on a basis which is fair and impartial to both the Government and the taxpayer and in a manner that will enhance voluntary compliance and public confidence in the integrity and efficiency of the Service." 2 While some might argue how impartial the Appeals Office is, the fact remains that according to the Internal Revenue Service's Annual Report for 1988, the Appeals Division closed approximately 93,000 cases, of which 90 percent were agreed. There are a number of reasons for requesting review of your client's case by the Appeals Office. They include: 1. The Appeals Conference affords an opportunity for a review of errors made by the examiner; 2. The Appeals Conference is an opportunity for negotiating at a higher and more sophisticated level within the Internal Revenue Service; 3. The Appeals Conference is an opportunity for someone within the Service to take a fresh look at the case; 4. The Appeals Conference provides an opportunity to settle based upon the "hazards of litigation"; 5. The Appeals Conference is a necessary step in exhausting all administrative remedies for the purposes of obtaining attorneys fees 3; 6. If the taxpayer ultimately loses, he will have had more time to order his financial affairs so he can pay the tax; and 7. If the case is ultimately litigated the appeals process will have given the taxpayer an early opportunity to learn more about the Internal Revenue Service's theory of the case. The most important reason for not requesting an Appeals Conference is the risk that new issues or new grounds to support an adjustment might be raised. Thus, for example even though the only issue raised at the examination level was the allowability of a $3,000 interest expense, the Appeals Officer could allow the interest expense, and disallow a $50,000 charitable contribution. This risk is greatly reduced by not requesting an Appeals Conference. As mentioned previously, if a taxpayer fails to request an Appeals Conference the Internal Revenue Service will issue its 90 day letter giving the taxpayer the opportunity to petition the Tax Court. Once the 90 day letter has been issued if the Internal Revenue Service wishes to raise a new issue or an increased tax it, rather than the taxpayer will have the burden of proof in the Tax Court. 6 While not requesting an Appeals Conference reduces the risk of a new issue being successful raised it does not eliminate it. To completely eliminate the possibility of incurring a deficiency greater than raised by the Examination Division, the taxpayer should refrain from requesting an Appeals Conference. Instead he should pay the tax claimed to be due, wait until the expiration of the period within which the IRS may make an additional assessment, and file a claim for refund, followed if necessary by a suit for refund in District Court or Claims Court. In a refund suit; unlike a Tax Court action, the Internal Revenue Service may raise a new issue only to offset any refund due to the taxpayer, not to collect an increased tax. 7 Thus prior to requesting an Appeals Conference a careful review of the entire return should be made to determine whether there is exposure in other areas. Sometimes it is much better to accept a small adjustment, rather than run the risk of having the Service raise a new issue. 6. A statement of facts which support the taxpayer's position as well as a statement outlining the law or other authority. The foregoing protest was prepared on the basis of facts which have been furnished to me. I do not know of my own knowledge that the statements of fact contained herein are true and correct. Due to the Internal Revenue Service's penchant for losing documents, the Protest should be accompanied by a power of attorney on Form 2848 even if one has previously been filed. The starting point in obtaining the best settlement is the well drafted Protest. The Protest the first opportunity that the Appeals Officer has to consider the taxpayer's case. It is important that the facts and arguments which are favorable to the client are clearly laid out in the Protest. In many districts Appeals Officers have very heavy case loads. Therefore if his job is made easy by a well drafted and researched Protest which reduces the need for additional research, the Appeals Officer is more likely to take the easy way out and enter into an advantageous settlement. If, on the other hand, his work is made difficult, it increases the chances that he will be working harder to uphold the Service's initial position. Drafting a Protest in the short time span required by the constraints of the 30 day letter may not be possible. There are two ways of resolving up this problem. The first is to request an extension of time to file the Protest. The 30 day period is not written in stone, and the IRS is usually willing to allow at least a two week extension, if not longer. If this is still not sufficient time, a skeletal Protest, sufficient to meet the requirements of Publication 5 should be drafted. Later an amended Protest which more fully states the taxpayer's case can be submitted. After the Protest is filed, taxpayer's counsel will receive a letter from an Appeals Officer inviting him to a conference. In Southern California the time between filing a Protest and receiving an invitation to a conference can exceed six months. Generally Appeals Officers prefer to resolve cases in one conference, although complex cases may require two or more conferences. For that reason taxpayer's counsel should be fully prepared at the first conference with all the evidence necessary to persuade the Appeals Officer of the correctness of the taxpayer's position. Although the Internal Revenue Service's procedural rules provide that factual matters must be submitted in the form of an affidavit or declared to be true under the penalty of perjury, 11 Appeals Officers often accept factual assertions in the form of mere statements from counsel. However, if affidavits can be secured this is obviously more persuasive. If a settlement is reached with the Appeals Division there are three basic methods of documenting the agreement. The taxpayer can sign a Form 870, Form 870-AD, or a closing agreement. The effect of each of these forms is different. The Form 870 does not prevent a taxpayer from bringing a subsequent refund suit, or the IRS from later reopening the case and claiming that an additional tax is due. Of course the taxpayer and the Internal Revenue Service are restricted by the applicable statutes of limitations as to when they may take these actions. The closing agreement is a creature of statute. It is the only authorized method of achieving finality. Once it has been executed by the parties it may be set aside only on the basis of fraud, malfeasance or misrepresentation of a material fact. 14 Due to its conclusive nature Appeals Officers are instructed to discourage the use of closing agreements. 15 Nevertheless, closing agreements are available where the taxpayer can convince the Appeals Officer that the Service will not be disadvantaged by entering into the agreement. 16 Closing agreements may be used not only as a means of settling a tax liability for a particular year, but also to determine the treatment of a specific item over a period of years. For example, a closing agreement may be used to determine the basis of an asset for the purposes of depreciation, or the amount of income reportable under the installment sales method. If it has not been possible to reach a satisfactory settlement with the Appeals Officer, consideration should be given to reque sting "technical advice" from the Internal Revenue Service's National Office. Technical advice is guidance provided by the Internal Revenue Service's National Office to District and Appeals Offices, answering technical or procedural questions as to the interpretation or application of tax law to a specific taxpayer. 19 The Service's rules for obtaining technical advice are revised each year and printed in the Internal Revenue Bulletin as the second revenue procedure of the year. Technical advice may be requested from the IRS where an issue is so unusual or complex that it warrants consideration by the National Office or, alternatively, where there is a lack of uniformity in the Service's position throughout the country. Unlike a private letter ruling, it is requested after rather than before a tax return is filed. Although the taxpayer may request technical advice, the Appeals Officer may refuse to forward the case to the National Office. If that happens, the taxpayer is entitled to have the National Office review the Appeal's Officer's decision not to forward the request. The request to the Appeals Officer to refer a case National Office for technical advice may be oral, however, it is preferable to put it in writing. The request should include a statement of the facts, law and argument on the issue, and the reasons for requesting National Office technical advice. Taxpayers are encouraged to comment on adverse authority. If the IRS agrees to issue technical advice, and the National Office attorney assigned to the case makes an initial determination which is adverse to the taxpayer, the taxpayer is entitled to a conference in Washington, D.C. This conference is informal and may be held telephonically. Technical advice is generally binding on the Appeals Office if it is favorable to the taxpayer. If it is adverse to the taxpayer, however, the Appeals Officer is not bound, and the case may still be settled favorably to the taxpayer. Despite this apparent no-lose situation, requesting technical advice holds substantial risks for the taxpayer. First, an unfavorable technical advice will be applied retroactively unless the Service exercises its discretion under IRC § 7805(b) to limit its retroactive effect. Second, in formulating the Government's position, which will ultimately be set forth in the 90 day letter, the Appeals Officer may have seized on a poor argument which could later be defeated in court. The National Office attorney may realize that the Appeal's Officer is relying upon a poor argument, and may set forth a much better one which will be upheld. Additionally, the existence of an unfavorable technical advice will substantially reduce the chances for settlement with Government counsel if litigation is instituted. Therefore a request for technical advice should be made only after careful evaluation of the potential costs and benefits involved. While in some instances litigation may be necessary to resolve a dispute with the Internal Revenue Service, many cases can be settled administratively. Counsel should explore this option fully before accepting an examining agent's decision. The steps involved in obtaining judicial review of an Internal Revenue Service determination are beyond the scope of this article. Policies of the IRS Handbook, P-8-47. IRM 8(11)70, MT 8-188(Jan. 22, 1990). Rule 143(a) of the Rules of Practice and Procedures of the United States Tax Court. See Lewis v. Reynolds, 284 U.S. 281 (1932). Rev. Proc. 87-24, 1987-1 C.B. 720. Statement of Procedural Rules §601.106(f) (2). Whitney v. United States, 826 F.2d 896 (9th Cir. 1987). Rev. Proc. 91-2, 1991-1 IRB 38.